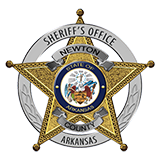 On August 6th, 2015 the Newton County Sheriff’s Office, in cooperation with the Arkansas National Guard, Arkansas Game and Fish Commission, Arkansas State Police, U.S. Forest Service, National Park Service and the DEA, conducted aerial marijuana eradication operations in portions of Newton County. Early in the operation, spotters in National Guard owned “Lakota” helicopters located two separate marijuana grows within several hundred yards of one another. Ground crews were sent to the area to secure both locations. One location yielded 5 large plants with no one around. Those plants were seized and the investigation continues. Ground personnel at the other location found a much more involved operation which included an partially underground greenhouse, a drying shed that had indicators of an indoor grow in the off season and quantities of marijuana in various stages of processing. From still-growing plants, to dried and packaged for delivery. This location held 116 marijuana plants of varying sizes and condition, a large quantity of processed marijuana and several pounds of marijuana bud drying in a drying shed. Officers also seized paraphernalia and equipment used in the manufacture, processing and sale of the drug. These items included dehumidifiers, grow lamps, plant starting items and various other paraphernalia. Officers followed a short foot path to a nearby residence where the located Todd Anthony Jeanes, 45 of Parthenon, on the front porch, surrendering. Jeanes admitted the marijuana and grow operation were his. Jeanes was arrested and charged with Manufacture of a Schedule VI Controlled Substance, Possession of Drug Paraphernalia and Possession of a Class VI Controlled Substance with Intent to Deliver. He was transported to the Newton County Jail and later released on a $25,000.00 bond. The Arkansas National Guard has a counter drug taskforce that provides many forms of assistance to Arkansas agencies, one of which is the aerial eradication capabilities with state of the art helicopters, mobile command centers, expertise and personnel.